(C)Copyright 2003 Rand Soellner, All Rights Reserved Worldwide. Designed by Rand Soellner, mountain architect. 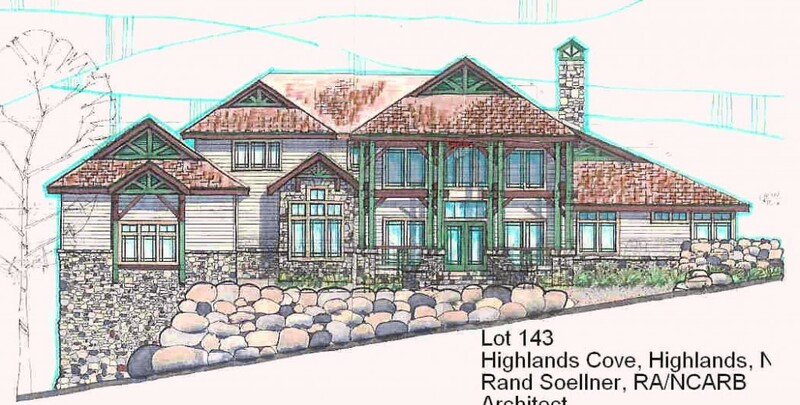 Mountain architect Rand Soellner created this concept design for a Highlands builder/developer who wanted a marketable design at an altitude of 4,000′ ASL. This project has 5BR, 5-1/2 Baths, 3 car Garage. The site is in Highlands Cove, part of which is now called Old Edwards Club. This particular builder actually had his own timber frame company within his main firm, so it was imperative that mountain architect Soellner integrally used that internal structural system. Mountain architect Rand Soellner has another project under construction. (C)Copyright 2007-2010 Rand Soellner, All Rights Reserved Worldwide. In addition to being a custom home architect, Soellner is a mountain architect. Soellner is a mountain architect in just about every sense of the phrase: he lives in the Blue Ridge Mountains full time. He works full time in the mountains, designing fine mountain homes, and he has been doing this for a long time. On this particular approach, mountain architect Soellner used a Dutch-hip roof style, not seen often; this is an original, with timber truss work detailing in the upper gable half of the roof ends. In lieu of larger log posts, this particular design (above) has quadrupal square posts, which permits timber beams to be inserted between them in different directions, creating a sense of place for the components. For this mountain architect, designing a sense of place is the key to much of his artistry. “Things have to look like they belong where they are located,” said Soellner. This mountain architect chose a palette of cedar roof shingles, copper flashing, clapboard horizontal wood siding, native rock on foundation walls up to a wainscoat level and huge boulders as structural site walls to hold fill for the entry driveway. 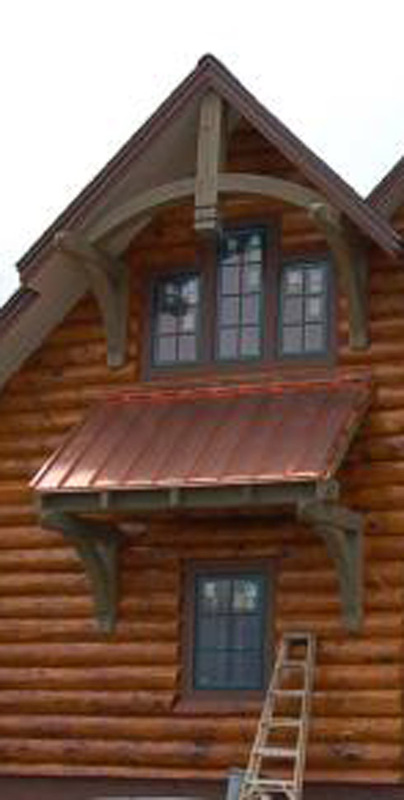 Casement windows have 9-lite prarie style grilles. Mountain architect Rand Soellner project under construction. (C)Copyright 2007-2010 Rand Soellner, All Rights Reserved Worldwide. Mountain architect designs spacious rear view porches. The floor plan layout utilizes rear porches overlooking grand views of the Blue Ridge Mountains and the Old Edwards Club golf course. This particular site is over 4,000′ ASL and affords outstanding views of much of the Western North Carolina countryside. Mountain architect Soellner had a good time creating this design. It has a spacious open plan gourmet kitchen and one of the nicest laundry/pantries in any home, anywhere. The Hearth Room is large and has a wet bar and access to the Master Suite, which has an enormous walk-in closet with full-size additional separate laundry facilities. The mountain architect designed a large master bathroom with his and her vanities and a spa-bath jacuzzi with private view windows. There are additional guest bedrooms upstairs and second master suite downstairs on the main level. Ample usage of North Carolina granite boulders support the foundation walls, which emerge with native rockwork, one of the signature features of Soellner designed houses. Any mountain architect needs to have an appreciation for stone and Soellner does not disappoint in this regard. All of his projects feature substantial rock areas, often in 2 or 3-story towers, reminiscent of timeless spires of old. Rand Soellner is a custom home architect designing residential projects for clients throughout the Carolinas, the Virginias, Illinois, Washington state, Tennessess, Georgia, Florida, Oklahoma, Texas, the remainder of the country and the world. 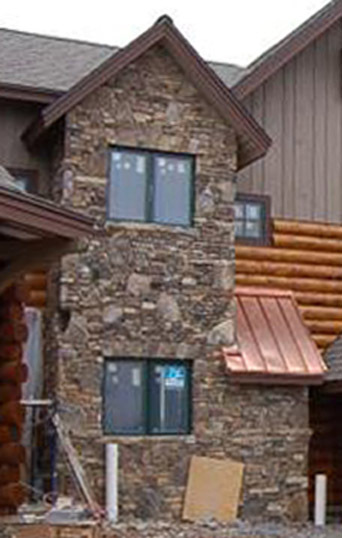 Soellner is a mountain homes architect, among other specialties. He also designs residences for a variety of flat properties in surburban communities like Atlanta, Buckhead, Newnan, Illinois, Greenville, Asheville, Brevard, Chicago, Las Vegas, Utah, Alabama and other places. media tags: mountain architect, home architects, cashiers, highlands architecture, lake toxaway design, Glenville, Sapphire, mountain home design, residential, north carolina, south carolina, timber frame, post and beam, custom home, green home, log home, castle, rustic, lake lure, lake burton, charlotte, murphy, deep creek, desitn, philadelphia, seattle, portland, tacoma, panama city, whistler, vancouver.